Mr Fraser was actively involved in student politics and joined the ANC underground structures early in his life. Upon his return to South Africa, Mr Fraser joined the newly-formed National Intelligence Agency (NIA). 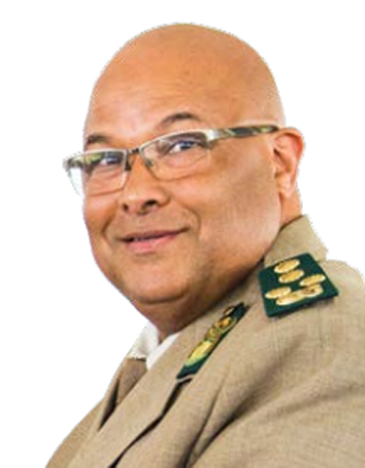 During his tenure at NIA he was seconded to the Truth and Reconciliation Commission (TRC) as an investigator, which accorded him keen insight into the operations of the apartheid security apparatus. Following his secondment Mr Fraser served the intelligence community in various operational capacities, culminating in his appointment as Head of National Intelligence in the Western Cape. He was later transferred to the Department of Home Affairs where he served as Deputy Director-General for the National Immigration Branch. After one-and-a-half years Mr Fraser was re-appointed to NIA as Deputy Director-General in charge of offensive and counter-intelligence operations; a position he held for five years. In addition to holding a BA (Hons) degree in Film and Video Production from London University and a Certificate of Attendance from the Institute of Directors in South Africa, Mr Fraser completed several training courses, including an executive management course in the United Kingdom, and has led many delegations on liaison exchange visits. During his time spent in the private sector, Mr Fraser co-founded Resurgent Risk Managers.